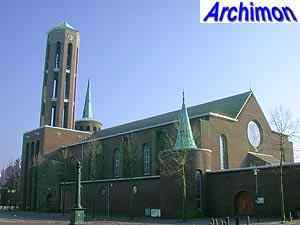 Like nearby Sevenum, Horst lost its church in the closing months of World War Two. 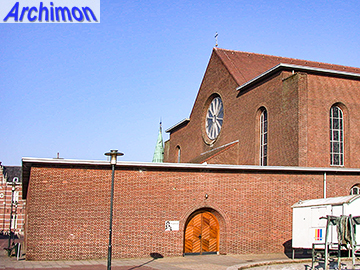 While in Sevenum a new church in a rather archaic style was built to replace the old one, the H.H. Fabianus en Sebastianus by H.W. 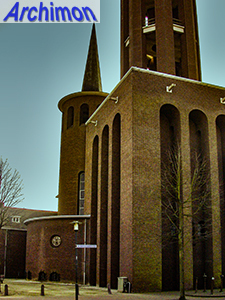 Valk, in Horst a much more modern design was chosen by A.J.N. Boosten. Several designs were made and many changes were made before in January 1950 the final design was accepted. It took another year and a half before work started. Boosten had already died and the work was carried out by Jean Huysmans. 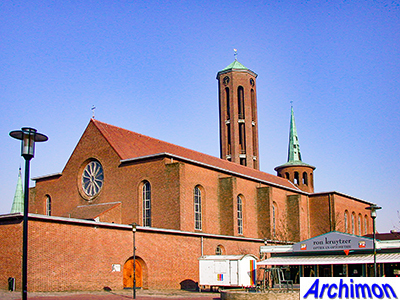 In November 1952 the church was used for the first time although it wasn't finished yet. 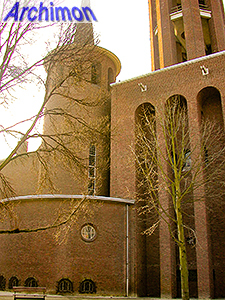 Although Boosten's churches never were very conventional, this church is something special. 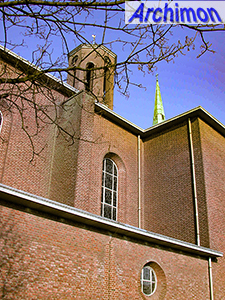 The rather plain nave has a space with a flat roof in front of it, an atrium, while there are two towers at the back. 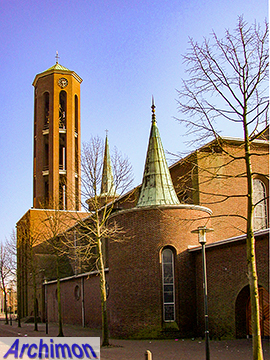 The taller tower consists of two parts, an open polygonal upper part and a square lower part. 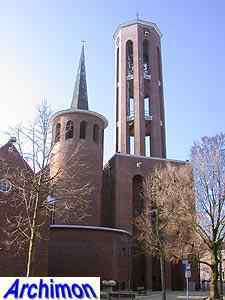 The smaller tower marks the choir. 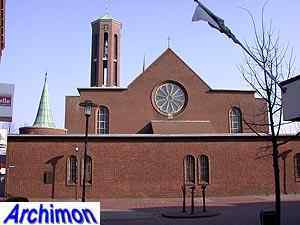 The church is five aisles wide, of which the outer aisles are very narrow. Only the central aisle is not covered by a flat roof, all the others are. 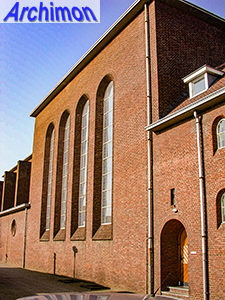 Although in its time often criticized for its unconventional looks, today the H. Lambertus is regarded as one of Boosten's most important designs.